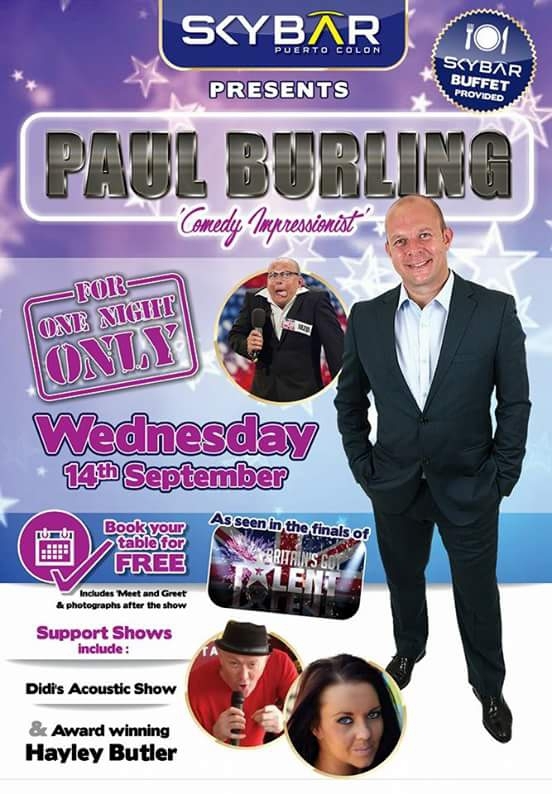 For one night and one night only celebrated comedy impressionist Paul Burling will giving us something to laugh about in Sky Bar Tenerife. And guess what - its free! There are two support shows and a personal meet and greet after the show with Mr Burling himself. Buffet will be provided, but book your table ASAP as they are sure to fill up quick.